Aging is the natural biological process as we get older. 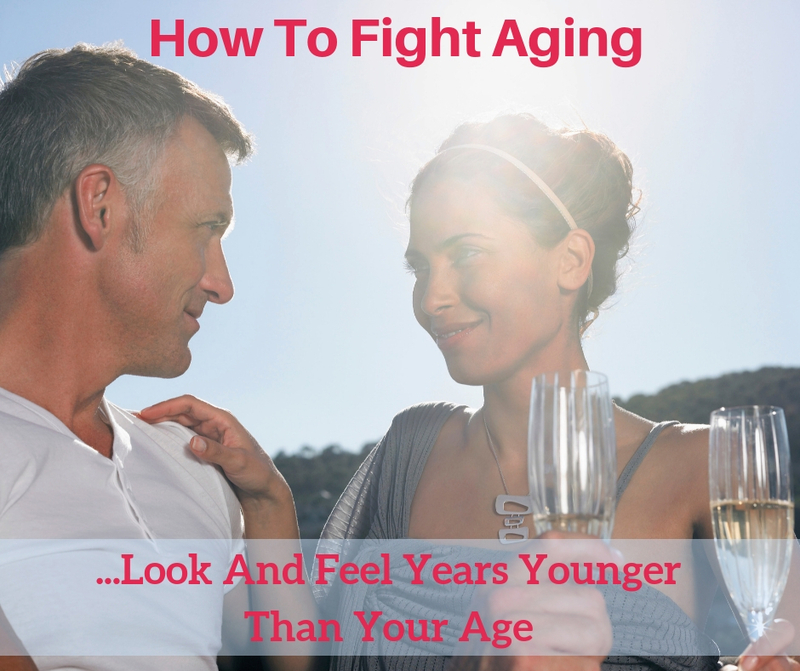 For many people, aging is associated with getting more wrinkles and a deteriorating health. Some health conditions that are common to increase with age are joint pain, less energy, fatigue, cardiovascular diseases, type 2 diabetes, brain fog, vision and hearing loss. 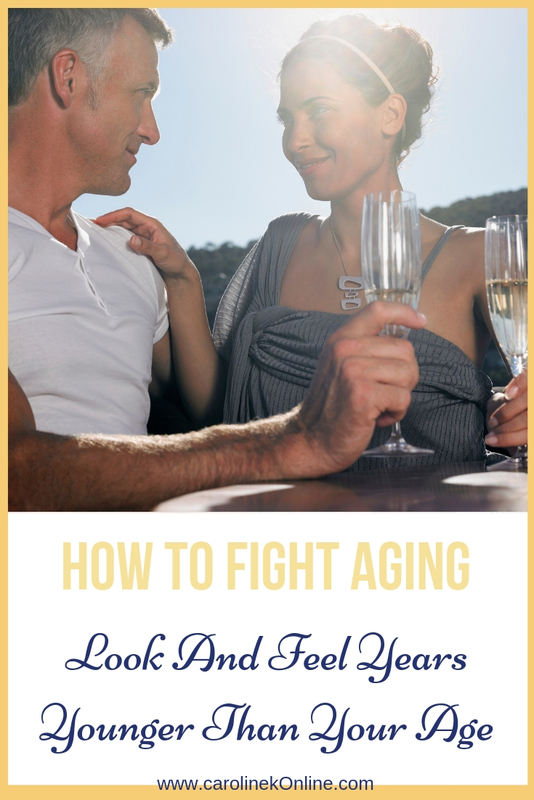 Getting older doesn’t have to be synonymous with lots of health issues and physical aging. There are lifestyle choices you can make today to reduce the risk of certain health issues and even to slow the aging process. Your lifestyle, environment, what you eat and drink, it all play a significant role in how well you age. The process of biological aging is not the result of any one thing, but rather the accumulation of several things. Scientists have different theories about what the exact cause(s) of aging is, however, most of them agree that progressive accumulation of damage to your cells, tissues and organs, cause aging, leads to various diseases and eventually death. 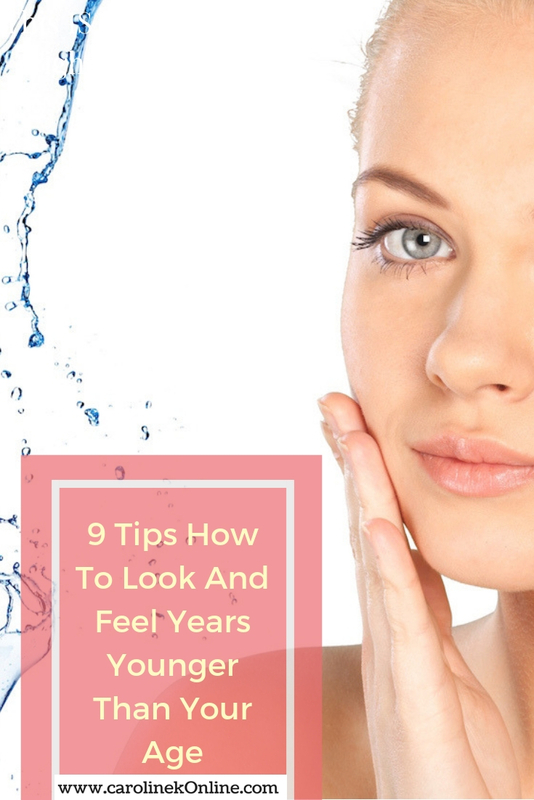 The following biochemical processes in our systems are considered to contribute to and speed up the aging process: inflammation, oxidation and glycation. Besides contributing to aging, these processes are also contributing factors to several diseases many people suffer from today. At the same time though, inflammation, oxidation and glycation are natural and necessary processes in our bodies, we can’t function without them. 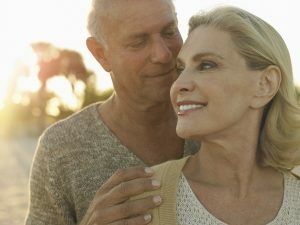 Therefore, many scientists and anti-aging experts support the idea that an important strategy to promote good health and to slow down the aging process is to keep these processes “normal, stable and in balance”. So what function do these biochemical processes have in our bodies? What makes them become harmful – cause diseases, aging and pre-mature aging? And what can we do to limit the harmful impact inflammation, oxidation and glycation can have on the aging process and our health? Let’s dive into this, starting with inflammation. Inflammation is our body’s immune response to foreign invaders, like e.g. harmful bacteria and virus. It’s also the body’s response to repair and heal itself after an injury. This kind of inflammation is called acute inflammation and it’s – simply put – short-term and the effects subside after a few days. Acute inflammation is often characterized by redness, swelling, warmth, and sometimes pain and some immobility. What makes inflammation become harmful? Sometimes, for no apparent reason, the immune system starts to overreact and also attacks “good” and useful bacteria, nutrients etc. If this continues and your body is struggling all the time with inflammation it becomes chronic. Chronic inflammation is a major cause to auto-immune diseases such as lupus, arthritis, allergies and Crohn’s disease. It can also lead to diseases such as alzheimer’s, cancer, diabetes and heart disease. Moreover, chronic, low-grade inflammation is considered to be a major contributor to aging and pre-mature aging. 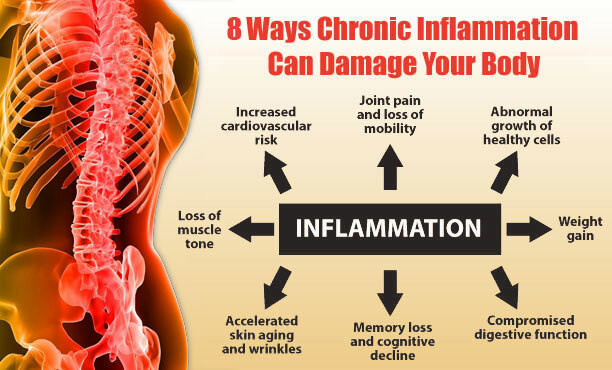 The chronic inflammation involved in aging can be painless and undetectable. Your gut and your immune system are very closely linked, as much as 60-80 percent of your immune tissue is situated in your digestive tract. Anti-inflammatory diets are popular. It basically means that you avoid certain foods that are considered to trigger inflammation, and instead eat more of anti-inflammatory foods. The recommended foods for an anti-inflammatory diet are – more or less – those typical of a Mediterranean diet, which means basically eating more fish, fresh fruits, vegetables and healthy fats, a moderate portion of unsalted nuts, very little red meat and drinking moderate amounts of red wine. Omega-3s are considered to protect the body against the possible damage caused by inflammation. On a cellular level, Omega-3s inhibit an enzyme that produces prostaglandins, which triggers inflammation. Your body doesn’t have the enzymes to produce Omega-3s, so you must get them from your diet or take an Omega-3s supplement. 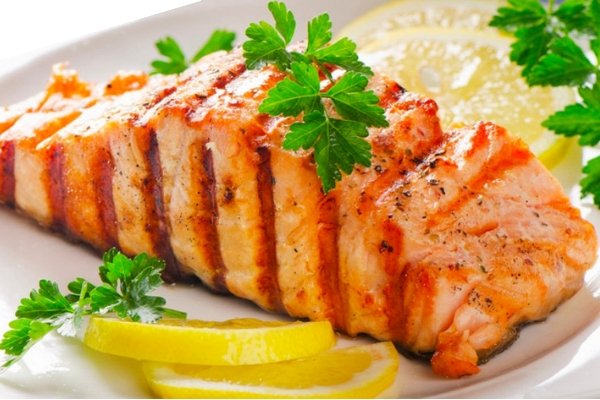 You can get Omega-3s from eating fatty fish like salmon, sardines and mackarel. Preferably the fish should be wild-caught, not farmed. You should know though, that all fish oil is NOT created equal and in many fish oil supplements on the market, the benefits of the Omega-3s will not be absorbed into your system. Therefore, it’s crucial that you choose your Omega-3s supplement carefully. Oxidation happens when our bodies metabolize the oxygen that we breathe. Our cells need oxygen to survive, and produce energy from it. When the oxygen molecules split into single atoms that have unpaired electrons, they become unstable molecules called free radicals. What makes oxidation become harmful? Oxidation and the number of free radicals in the blood can become greatly increased by stress, sugar, high-intensity exercise, exposure to pollutants, pesticides, smoking and other toxins in our home environment etc. If the free radicals become too many and out of control, they can – over time – seriously damage our health by attacking our cells or tissues or other substances in our body, and damage our DNA and mitochondria. The process when free radicals run havoc and damage or “oxidize” cells throughout the body is also called oxidative stress. To prevent the number of free radicals from becoming out of control and cause serious problems – we need antioxidants. Antioxidants are compounds that help the body’s natural defense system combat the attacks from free radicals. They can block oxidation and make it non-harmful. But the function of antioxidants is not to remove oxidants entirely – because free radicals are needed in many normal cellular processes – but to keep them at an optimum level. You can increase the anti-oxidants in your system by consuming them in food, drinks or supplements. Berries – strawberries, blueberries blackberries, raspberries – you can’t really have too many!!! Fruits – great antioxidant sources include kiwi, orange, lemon, grapefruits, apples and grapes. You’d probably better limit your fruit intake to 1-3 per day though, because of the high fructose levels in many fruits. Fructose contributes to high blood sugar and inflammation. Additionally, by eating foods such as broccoli, spinach, tomatoes, eggs, garlic and onions, you support your body’s production of glutathione – our most powerful antioxidant. For even stronger antioxidant support – take a supplement. You can avoid unnecessary exposure to oxidation and limit the amount of free radicals in your body by lifestyle and product choices. Since oxidation and the number of free radicals in the blood can increase by: stress, sugar, high-intensity exercise, pollutants, pesticides, smoking and other toxins in our home environment etc. – you want to minimize your exposure to those things. Glycation is a process that occurs when we consume sugar. This may be sugar in processed foods, other high-sugar foods, fruits (fructose), sodas, juices etc. When sugar molecules attach themselves to proteins or fats in the bloodstream, new harmful molecules are formed. These new molecules are non-enzymatic modifications of proteins or lipids, and they are called AGEs (Advanced Glycation End products). In addition to AGEs that form from glycation within the body, AGEs also exist in foods and can increase to high levels if you cook certain foods at a high temperature. While glycation is a normal process of everyday metabolism, the rate of glycation and thus aging is increased by the Standard American Diet (SAD) and lifestyle. What makes glycation and AGEs become harmful? Glycation is bad for you because it accelerates the aging process. Hyperglycemia (high blood sugar) and tissue oxidative stress accelerate the glycation reaction. The glycation process leads to a loss of protein function and impaired elasticity of tissues such as blood vessels, tendons and skin. In the skin, the collagen becomes less flexible and that causes wrinkles and loss of skin suppleness. The fact that there are no enzymes to remove glycated products from the human body, supports the theory that it’s the accumulation of metabolic waste that promotes aging. To avoid ingesting too much of foods high in AGEs, eat more of low-glycemic foods and choose healthier cooking methods. Low-glycemic foods are e.g. : dark leafy greens and other non-starchy vegetables, most fruits, nuts, beans, seeds, legumes and whole grains. Therefore, stewing, poaching, boiling, steaming, pressure- and slow-cooking are examples of healthier cooking methods, whereas barbecuing, grilling, frying, broiling and roasting at very high temperatures form a lot of AGEs. Animal foods tend to be higher in AGEs, including meat, certain cheeses and fried eggs – also margarine and some cooking oils. Worth knowing is that cooking or marinating meat with an acidic ingredient such as vinegar, tomato juice, Greek yogurt or lemon juice can reduce AGE production by up to 50%. Marinating meat with herbs like Rosmarine, Turmeric and Garlic also helps to reduce the AGE production. There are herbs, plants and foods that actually can inhibit the production of AGEs. Natural antioxidants, such as vitamin C and quercetin, have been shown to hinder AGE formation. Moreover, several animal studies have shown that some natural plant phenols can prevent the negative health effects of AGEs. 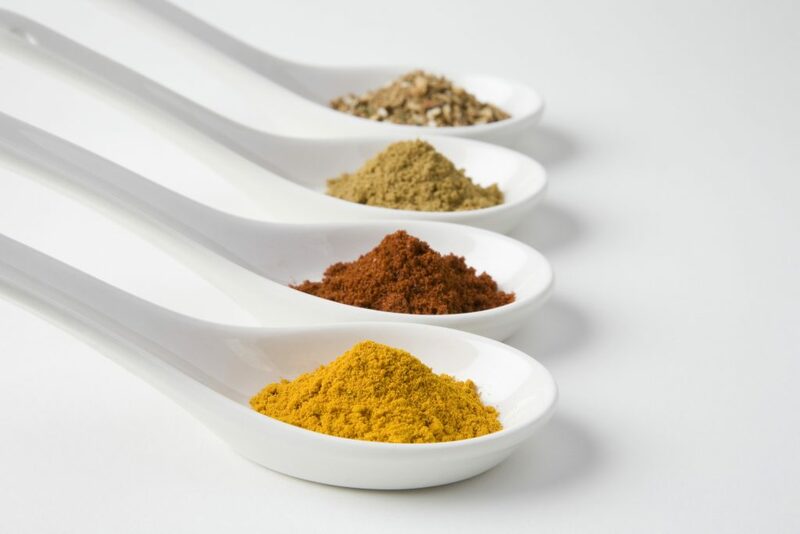 Curcumin – which is found in turmeric, is one of these compounds. 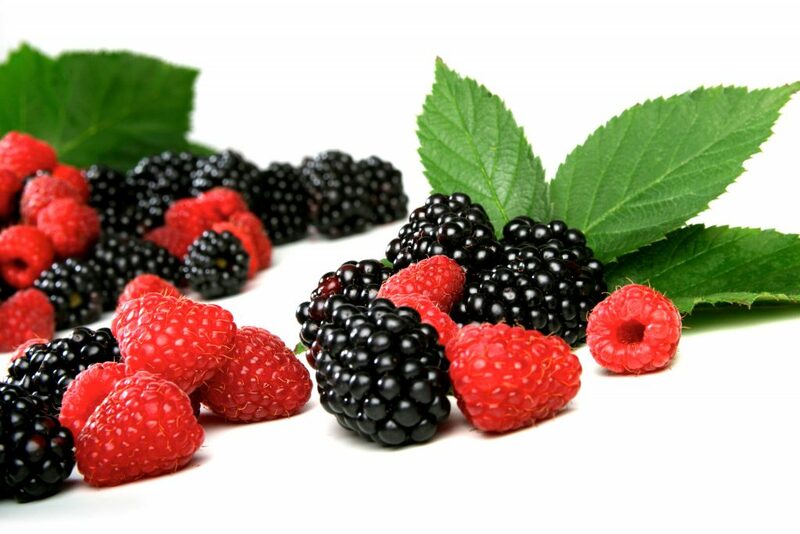 Resveratrol – which can be found in the skins of dark fruits like grapes, blueberries and raspberries, may also help. Therefore, make sure you add a mix of colorful fruits, berries, vegetables, herbs and spices to your everyday diet – this may help to protect against the damaging effects of AGEs. Carnosine: Carnosine is a dipeptide, an organic compound derived from two amino acids. Carnosine helps reduce damaging protein glycation in the body, and it’s a potent inhibitor of glycation. In test tube studies, carnosine has even been able to reverse aging damage to cells. Physical exercise improves systemic antioxidant activity, and can decrease oxidative stress. An inactive lifestyle on the other hand can cause AGE levels to skyrocket, whereas regular exercise and an active lifestyle have been shown to reduce the AGEs in the body. Aging is a normal process that no one can avoid – but it’s possible to slow aging and to age well – by choosing a healthier lifestyle and a healthier diet. 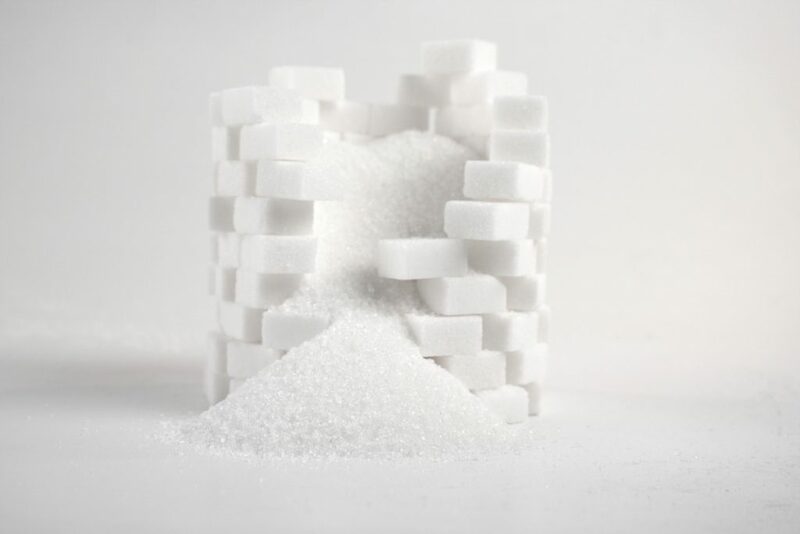 Things like excessive sugar, stress and toxicity increase the rate of glycation, oxidative stress and inflammation. These are factors that accelerate the aging process and contribute to several diseases. You want to avoid chronic inflammation, oxidative stress and you want to limit the rate of glycation and the level of AGEs in your body. It’s never too late – or too early – to promote healthy aging by living healthier! Share this post with those you care about, and share in the comment section your best anti-aging tips, I’d love to hear them!! Inflammation is the hidden root cause of many diseases. Here’s a free report about inflammation and how you can erase it from your body.